What's the worth of a human life? What is it about a human life that makes it worth something? That's a hard question: harder than it seems. What's the worth of the man who drinks at the well, uninvited? None at all, to Sherif Ali: and it is the insight of honor cultures that not everyone is created equal, but that some are better than others. Does that mean that some can be worth nothing, or is there some minimal quality beyond which no human being can fall? "He was nothing," Sherif Ali says, and that is the honest attitude of many to those who get in the way. "Nothing" in ethics is the equal opposite of infinity: once we have reduced the good of a person to "nothing," you would be irrational if you didn't trade his life for a penny. After all, a penny is worth something. In the West, we have tried to provide other answers. Let us consider three, as exemplified by a very moving piece on fatherhood. There is Dr. Singer's answer. After his birth, as I entered the intensive-care nursery, I was deeply ambivalent, having been persuaded by the Princeton philosopher Peter Singer's advocacy of expanding reproductive choice to include infanticide. But there was my son, asleep or unconscious, on a ventilator, motionless under a heat lamp, tubes and wires everywhere, monitors alongside his steel and transparent-plastic crib. What most stirred me was the way he resembled me. Nothing had prepared me for this, the shock of recognition, for he was the boy in my own baby pictures, the image of me when I was an infant. Eight months after the birth, a doctor commented, after viewing the results of a CT scan, that his brain looked like "Swiss cheese," it was so full of dead patches. So from the start, I had to wrestle with the reality of his condition. Martin Luther held the opinion that, because a child such as August was a "changeling"—merely a mass of flesh, a massa carnis, with no soul—he should be drowned. And Singer reasonably would maintain that my son would not qualify as a "person," because he would have no consciousness of himself in time and space. There is the answer the doctor eventually comes to about his son. And I agree with Rabbi Harold Kushner when he writes and talks about bad things happening to good people: August's disability does not form a part of "God's plan" and does not serve as a tool for God to teach me or anyone else wisdom. What kind of a God would it be, anyway, to deprive my boy of speech and movement just to instruct me? A cruel and arbitrary God. August's disabilities are not a blessing; but neither are they a divine curse. To traffic in a cosmic economy of blessings and curses is to revert to an ancient prejudice. Indeed, even though August's disabilities offer ample opportunity for public interpretation, they do not mean anything at all in and of themselves—they have no intrinsic significance. They simply are what they are. That is not to deny that August, along with my daughter and my wife, is the most amazing and wonderful thing that has ever happened to me, for he has allowed me an additional opportunity to profoundly love another human being.... there are limits to reason. And then there are the Christians, who see in August a child of God. Given the educated alternative I just sketched out, that response seems a relief. Here in the South, they come up and say "God bless!," to which, depending on the occasion and the person, I sometimes respond, "This is my beloved son, in whom I am well pleased." You've probably sorted out that I have more to say about this, but before I do, I want to hear what you think (and why). I'm a little bit amazed to see that the Burmese government actually released Aung San Suu Kyi from house arrest. The negotiations to have her released were one of those permanent stories in the press; as if one were assigned to report on the tides, without understanding the effect of the moon. "Water is up! We think this is the day!" "No, the water went back down." "Water is up again!" If you're not accustomed to following Asian politics, you may not be familiar with her. Here is an introduction. She also is associated with an interesting speech, which is aimed at trying to alter Burma and its society in accord with what are widely perceived to be Western principles. The people who are concerned about her being a 'puppet of the West' are thinking of the kind of Westerner who works with the UN and authored things like the Geneva Conventions and the Universal Declaration of Human Rights. 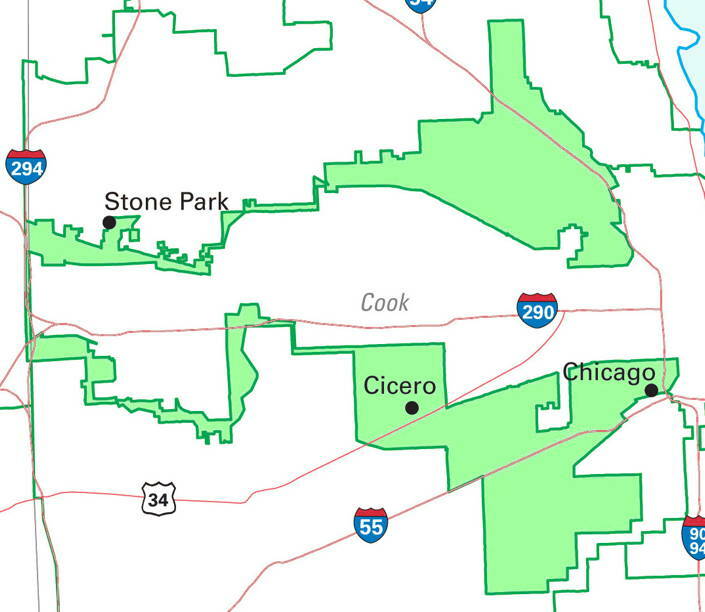 HotAir linked to a Zombie article about the nation's most ridiculously gerrymandered federal congressional districts. We have the honor to live in one of them: Texas District 14, home of Ron Paul. 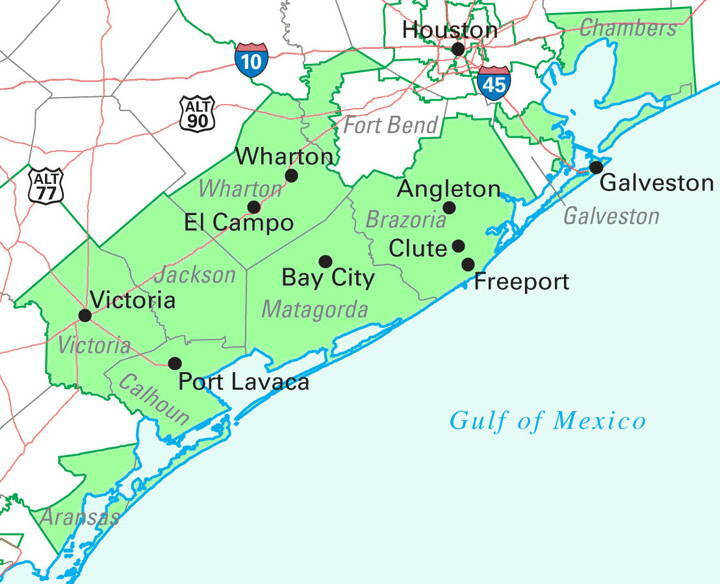 You can find our little piece of Heaven way down in the lower left corner, in Aransas County. 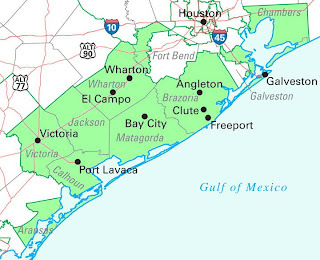 We're technically contiguous with the rest of the district by virtue of some barrier islands populated by wild animals and cattle. I assumed that, when Texas receives its four new congressmen, our district's boundaries would get more reasonable, but apparently not. The changes are expected mostly to occur elsewhere. 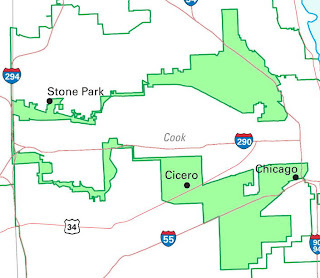 As silly as our district is, it can't hold a candle to Illinois District 2, whose northern and southern portions, each gerrymanderedenough in its own right, are joined by a strip of median running down the center of Interstate 294. In the 1950s, as a researcher at the University of Chicago, Fritz made a comprehensive inventory of 144 peacetime disaster studies[.] He concluded that rather than descending into disorder and a helpless state, human beings in disasters come together and give one another strength. Shortly after the second tower was struck, well before either tower fell, something remarkable, almost miraculous, happened. A fleet of boats began arriving in the waters around lower Manhattan. They were boats of all shapes and sizes – ferries, tugs, excursion boats, fireboats, buoy tenders, patrol boats and yachts. Large and small, public and private, they began an entirely spontaneous, unplanned, unsupervised and uncontrolled evacuation of Lower Manhattan. By the end of the day between 300,000 and one million people, depending on which estimate you use, were carried to safety. Over 2,000 of those rescued were injured. When there were no more people to transport, many of these boats began shuttling supplies to the rescue effort at Ground Zero. It was the largest maritime evacuation since Dunkirk and has gone largely unreported in the media. More here. 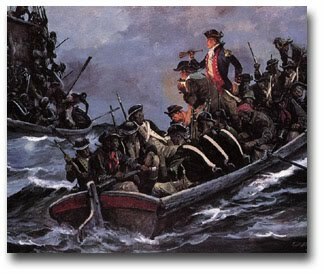 "Who was in charge of the massive evacuation of lower Manhattan? No one." I question the headline here, which suggests that a homeowner killed a friend. Ezekiel Wiley says he fired all six bullets at a man who crawled through a busted kitchen window, armed with a screwdriver Wednesday. Wiley said he couldn't see the burglar's face. Several hours later Wiley learned the burglar was William Bernard Stafford, a friend of 30 years. Authorities said Stafford had a drug history and several convictions. If you're really a good friend of long standing, how is it you didn't understand your buddy was the kind of guy who sleeps with a revolver close to hand? The most important part of Sheridan’s story, I think, is the notion that U.S.-Mexican military-to-military relations have vastly improved of late. Nearly as interesting, though, is the notion that the Pentagon is sharing “many of the lessons we’ve learned in chasing terrorist organizations in Iraq and Afghanistan,” according to Gen. Victor Renuart (formerly NORTHCOM’s commander). I'm just going to repost TBSBFB's take on this. Real Men Can Cook: And tell a story. Look after children. Charm a woman. Strike an honest bargain. Command respect. Oppose evildoers. And a real actor can read a recipe with a camera pointed at him, and make it scintillating. Roscoe Lee Browne. Gone but not forgotten. I tried to find a direct YouTube embed, but all the ones there had incredibly annoying ads up front, so just go to this Daily Caller link. It's only a minute and a quarter long. 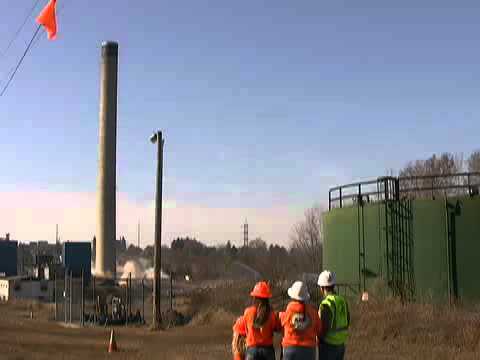 Here are a bunch more YouTubes with demolition "oops" moments. The Deficit Commission also supports an earmark ban. The prospective new Senate Majority Leader, Mitch McConnell (R-Ky.), does not. The argument against an earmark ban usually goes like this: the money's going to get appropriated anyway, so wouldn't you rather have your own congressmen decide what project it will be spent on than some bureaucrat sitting on a panel in an executive branch controlled by the other party? What's more, earmarks the tail wagging the dog: they're a small fraction of overall spending. Sen. Coburn's argument is that "a small rudder can help steer a big ship." As one commenter noted, earmarks are bribe solicitation. The point of many earmarks is not to appropriate funds for a specific project that really is important on national grounds (which would be the only legitimate reason for using federal money rather than local funds), but an out-and-out bribe to secure a vote for some completely separate measure that may dwarf the earmark itself in terms of cost and intrusiveness. Use of the Cornhusker Kickback to obtain a vote for ObamaCare is a recent and glaring example. earmarks are a convoluted way for Congress to try to regain authority they have already ceded to the executive branch through bad legislation. The fact is there is nothing an earmark can do that can't be done more equitably and openly through a competitive grant process. It's not clear to me that the feds ought to be funding anywhere near as many local projects as they do. If they must, I'd prefer they made block grants to the states and let the states work out where to spend the money. Even better, they could stop collecting federal taxes for this kind of thing and let the states decide how much to tax and spend on local projects. The only exceptions should be truly federal projects, like military bases, the location of which should be determined by some much more transparent process than backroom pork-barrel rolling. I'd rather my federal congressmen spent more time worrying about getting the federal government to keep its mitts out of local affairs, and less about bringing federal largesse to my district -- particularly when I'm the one paying for the federal largesse in the first place. To all of you who've served, my thanks. To all of you who haven't, McQ at BLACKFIVE thanks you. 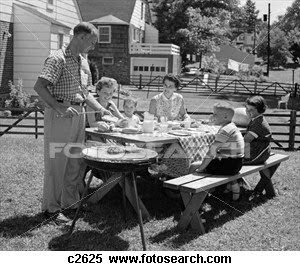 Well, if you give me 50's housing and 50's health care, I can probably live pretty cheaply. Part of what drives those prices up is the fact that we consume much more. And if you give me 50's school kids coming from intact 2-parent 50's families and attending 50's churches every Sunday, and 50's school teachers who are either unmarried single women or married and more or less supported by their husbands, I can doubtless cut your education costs (and local taxes), too. One human being is worth more than an infinite number of grizzly bears. Another way to put it is that there is no number of live grizzlies worth one dead human being. That really depends on who the human beings in question happen to be. I can think of some good examples of people I'd be willing to trade for grizzlies. Ethics doesn't admit of infinites. "Never" and "forever" are neither for men (as Fritz Leiber wrote in "The Circle Curse"). We don't do ethics this way because ethics is always about balancing goods. Declaring one good to be infinite, even relative to another, means discarding entirely something else that is good. Do we say that human life is infinitely more valuable than horses? Well, people are often killed riding horses -- we should do away with the brutes! How about human life versus candy? Eliminate candy! Bacon? Fatty foods in general? Of course, that depends on grizzly bears being in any way good. Are they good? The author deploys some Christian arguments, so let's talk about what Christianity says about the matter. St. Augustine would have said that they were, because everything created is good. This is another reason to avoid assigning infinities, then: by effectively reducing the value of the opposite to zero, you are denying a truth about it. Everything that humanity has to make decisions about has some good. It may not be much, but it cannot be nothing. Therefore, nothing has infinite good. The author cites the Bible as evidence that the land is cursed if people and livestock are being killed by savage beasts. The Bible also cites livestock dying of illness as evidence of a divine curse, but some livestock are always dying of illness in every nation. What about David? He had to fight bears off the livestock. That doesn't look like proof of a curse on his nation, but the way in which he became brave enough to be a useful servant of God. The presence of the bear can be a blessing or a curse, depending on how you encounter it. The difference doesn't depend on the bear. It depends on you. It's the Marine Corps Birthday. Now that was a Congress that knew how to shape legends. This is a good year for remembering those original Marines, who helped win the space in which the Constitution was crafted. Their descendants have defended that space ever since. Hulu is launching a patriotism channel, which will feature among other things the stories of the lives of Medal of Honor recipients. There are about fourteen up this morning. The Project VALOUR-IT fundraiser is still going on, for today and tomorrow. Team Marine is doing very well, having more than doubled its original goal. If you'd like to help them help today's wounded Marines, this is a fine day to do it. He keeps using that word. Somehow, I don't think it means what he thinks it means. I mean, really. Can you imagine him picking up a gun? Who's good at identifying snakes from descriptions? I didn't get a photo, unfortunately. This guy was fairly long, maybe 36 inches, not fat for his length, and not a pit viper. His head was slightly distinct from his body. His back bore a pattern of closely and regularly spaced solid small diamonds about 1/4-inch wide, and his sides bore a pattern of much larger hollow diamonds about an inch wide, more widely spaced. The entire effect was regular and geometrical rather than camouflage-splotchy. The background color was brownish, while the pattern spots were darker brown or black. His tail was smooth and pointy. He was sunning on the concrete, then slid off into dry brush (actually, my asparagus bed) when we encouraged him to move out of reach of the rambunctious dog. I've looked at lots of pictures of Texas snakes, but I haven't found any with a pattern even remotely like this. (But since I couldn't find a similar picture, I decided to go with Snake Girl up there, because I think she's elegant.) Any ideas? The title of the last post reminds me: I don't think we've ever taken a look at W. C. Fields. He's certainly an American icon. Zenyatta could be getting her favorite beer straight from the tap if she wins the Breeders’ Cup Classic on Saturday. Guinness said Friday it is offering a trip to Ireland and its famed St. James Gate Brewery in Dublin for Zenyatta, trainer John Shirreffs and owners Jerry and Ann Moss if the 6-year-old mare wins at Churchill Downs to close her career with a 20-0 record. Shirreffs is known to open a bottle of Guinness and pour it into a bowl for Zenyatta in the afternoon. He says she’ll only drink the dark Irish stout with its creamy head. No wonder she's a winner! [D]uring President Obama's trip to India, Gibbs assumed the role of press advocate and threatened to pull Obama out of bilateral talks with Indian Prime Minister Manmohan Singh because three U.S. reporters were blocked from covering the meeting. It's nice that Gibbs has the interest of the American press at heart, but -- did I understand that the press secretary was going to pull the US President out of bilateral talks? Gibbs said he was "serious" about this threat. Normally that would seem to be overstepping one's authority a little bit. The idea that a press secretary might have veto power over whether the President is allowed to attend negotiations with another head of government... that's alarming. I know they work closely together, but still! The President might value his advisor's opinion without the advisor having that kind of authority over him. Gibbs seems confident, though: he didn't say he would ask the President to pull out of the negotiations, but that he would pull him out. The US, bizarrely, is running at least 10 years behind in this process, having elected a government which chose to embark on the social democratic experiment at precisely the moment when its Western European inventors were despairing of it, and desperately trying to find politically palatable ways of winding it down. So a generation after the collapse of totalitarian socialism, its democratic form is finally crumbling as well. And, oddly enough, the latter may take longer than the former to unravel. The one virtue of totalitarian governments is that they can be swept away in a single blow, either through violent overthrow or – as in the case of Soviet communism – by their populations simply walking out from under them. Here's to the end of the Soviet Union, and to the good people long under her who had the sense to walk away. They were the ones who carried the weight, and when they came to see things clearly, they are the ones who laid it down. May we know such sense, in our own way. There's a serious error in the first few seconds of this video, which undermines the message quite a bit. He posits a situation in which a unanimous Congress passes a law overturning the First Amendment, signed by the President; and he says that the right thing to do would be to resist this 'procedurally correct, unanimous' law. What he wants to get at is a discussion of positive law (or 'political law,' as he calls it) versus natural law. Unfortunately, the example doesn't go with the discussion. All of you see the problem: a law of the sort he describes would be unconstitutional on its face. A simple act of legislation cannot amend the Constitution. A government that tried to set aside the Constitution through simple legislation would merit a revolt even within the limited terms of positive law. Many of us have an obligation by oath to uphold the Constitution in such circumstances. In order to get at the point he wants to get at, we need to think about whether or not it would be legitimate to amend the Constitution in a way that eliminates the First Amendment freedoms. The President doesn't sign proposed constitutional amendments; they go to the states for ratification. The real point only becomes clear if and only if three-quarters or more of the states ratify the law -- the amendment that overturns the First Amendment. Now, perhaps, it's a question of natural law justifying a revolt against an unjust positive law.